A large exhibition, 7000 Years of Iranian Art, seen in Paris in 1961 and afterward in other European and then American cities, aroused great interest through its display of ancient pottery in the form of animals, birds, and human beings. Many of these objects of unglazed earthenware, grotesque in form and visually arresting, appealed strongly to people who ask of art something more than mere prettiness and mirror reflections of creatures and men of this world. But of quite as great interest to archae-ologists and collectors were the exhibition’s objects of gold. These included pieces in known and new styles and formed a dazzling collection that was fully as fascinating as the pottery. Many of the pieces in both categories were exhibited as coming from “Amlash,” and it was obvious that a new find, or a series of finds, had been made in northern Iran. The designation “Amlash” has been used quite loosely as the place of origin for many antiquities that have come from other, sometimes unknown, sites in the province of Gilan, which extends southward from the southwest shore of the Caspian Sea. Here, in the area of the Safid River and its tributaries, a region long known as Dailaman, lie the archaeological sites of Amlash, Marlik, and Dailaman, among others. It has been possible, however, to trace relationships between objects found in the Dailaman region and others found elsewhere, especially in the Kalar Dasht River region, in the province of Mazanderan, somewhat under a hundred miles to the east. Important discoveries were made there, near Chalus, when excavations were dug for a palace for the late Shah Riza Pahlavi. In two respects Marlik, on the Gohar River (a tributary of the Safid), has proved the most important of all these rich sites. In the first place, Marlik was dug in I96 – I962 by E. O. Negahban, on behalf of the University of Teheran and the Archaeological Service of Iran, in such a fashion that notes, photographs, and drawings were made of the objects in situ. In the second place, Dr. Negahban succeeded in finding a series of intact graves of warriors, of warrior-kings and their wives, and even of their horses. As a result of his work it is known that certain types of earthenware figures were found in graves together with specific kinds of weapons, jewelry, and other objects of bronze, silver, and gold. So disparate in style are these objects that, had they been known only through their appearance in the antiquities market, not even an archaeologist would have believed that certain of them could have come from one place. But for Negahban’s discoveries, the problems in understanding the flood of material that has been obtained by all sorts of means from the Safid River region would be even greater than they are now. In the catalogue for the American showing of the 7000 Years of Iranian Art, Edith Porada called the culture that produced the material found in these tombs the Marlik culture. This use of the name of a very small place to denote an entire archaeological culture has its precedent in Mesopotamian archaeology (e.g., al-‘Ubaid and Jamdat Nasr), and will be employed here. Who the Marlik people were is unknown. They seem to have flourished from near the end of the second millennium B.C. to the beginning of the first – after the Kassite empire in the south of Mesopotamia had come to a close, and contemporaneously with the last Middle Assyrian kings. No written records of the Marlik culture exist, nor are there any others concerning the area at this particular period. Later, in the ninth century B.C., Assyrian records that speak of Mannaeans and Medes in northwest Iran may be dealing with the end of this culture. 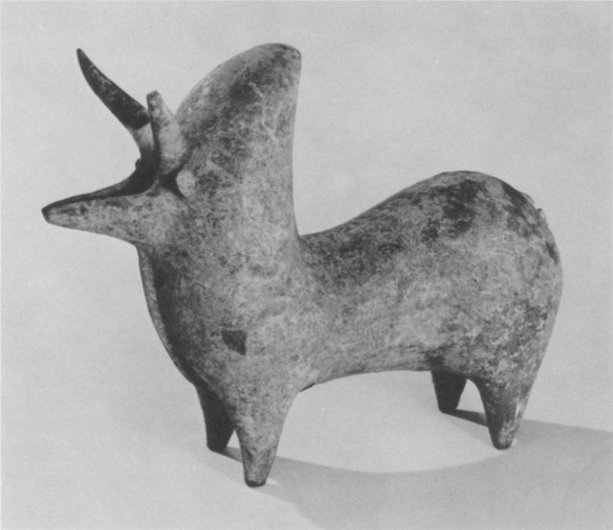 Among the examples of the Marlik culture that are to be seen in the Museum, as a result of recent gifts, loans, and purchases, is an earthenware bull (Figure i) of the same type as those found by Negahban. Similar bulls have also been found elsewhere, namely at Garmabak, near the Chalus Road, which runs north from Teheran to the Caspian. 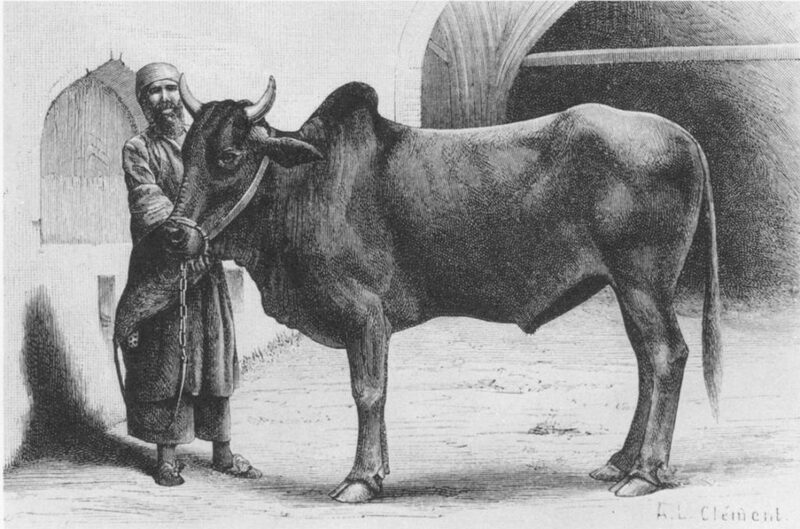 A Mazanderan bull was published (in Persian) by H. Samadi of the Archaeological Service of Iran in I956, several years before Negahban’s finds. Dozens of similar animals have since appeared, and are now in collections all over the world. Comparison of the pottery bulls with actual humped bulls of Iran (Figure 2) makes clear that the hump is exaggerated, often to an extraordinary degree. This emphasis was doubtless made to convey the impression of enormous power-not surprising when one considers how important bulls were in the ancient economies. Common to most is the spoutlike mouth, which probably served some practical purpose. Also usual are the much short-ened legs. These perhaps assure the stability of the piece, or perhaps they were simply less trouble for the potter to make. Some of the pottery bulls have additions such as metal earrings. The exaggerations of the earthenware fig-ures do not appear in the gold vessels found at Marlik. On those decorated with bulls the emphasis is on locks of hair growing from the chests, backs, and leg joints. Neither the body shape nor the hair, however, is exaggerated on the four gazelles that walk in procession around a gold cup from the Safid River region (Frontispiece). Nothing in Iranian antiquities could offer a greater contrast in feeling and style than this cup and the bull of Figure i, but the contrast cannot be accounted for en-tirely by the differences in the mediums and the subjects. In the gazelles there is a grace and delicacy that suggest a court style, where-as the bulls on the Marlik gold vessels show a provincial version of a foreign sophistication. The bodies of the gazelles are repousse and chased, the hair indicated by means of short strokes and dots contained within outlined conventional shapes that do not conform to nature. The heads, projecting in the full round, look at first as though they must have been hammered out from the body of the cup. Instead, they were hammered up separately and then fastened invisibly in place by a method much practiced in Iran in antiquity: colloid hard-soldering, a process involving a copper salt and glue. The ears, which almost quiver with life in the sensitively modeled heads, were also made separately. So, too, were the horns, each of which is composed of a strip of thin gold rolled up tightly and shaped appropriately. Originally the horns just cleared, in a most elegant manner, the cup’s everted rim; some of them have now been crushed down upon it. The hoofs are indented, doubtless for the insertion of inlays such as once filled the recessed eyes. No trace of these inlays has survived -a loss that gives the cup a homogeneity it once did not possess. The decoration includes two guilloche bor-ders, a double one at the top, a single one below. The sides of the cup swell as they ap-proach the base, so that the cup appears to rest on an inflated ring. 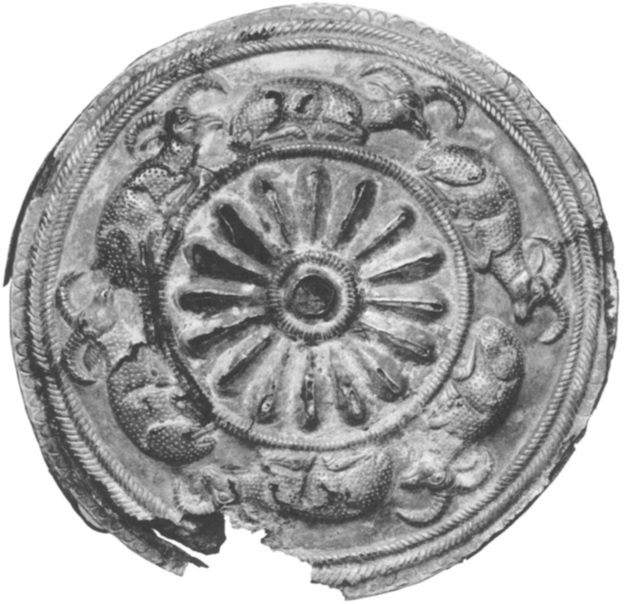 The base itself (Figure 3) is decorated with a pattern of six-petaled rosettes formed by overlapping circles con-tained within a narrow circular band hatched like a cord. The background of this design is nicked with small dots. The technique used in making the gazelles’ horns is to be seen on other metal objects from the Safid River region. One of these is a pair of gold earrings with hollow animal bodies decorated with small granular rosettes (Figure 4). The heads that project at one end are very like the heads on the gazelle cup, even to the socketed eyes, and the horns were made in precisely the same way. Earrings closely related to this pair were found at Mar-lik by Negahban. They are simpler in that they do not have animal heads, but they have the same bulbous form and they are adorned with the same kind of granular rosette. An-other of these technically related objects from Marlik is a gold beaker decorated with winged bulls whose heads project in the full round, with horns made in the manner described above. The fashion of decorating vessels with pro-jecting animal heads, obviously popular in the Safid River region, was not local. Similar heads occur on a gold cup fortuitously found at Kalar Dasht in west Mazanderan. The ani-mals that stalk around this vessel-between guilloche bands, as on the gazelle cup-are lions (Figure 5). Their heads are not soldered in place, as are those on some of the Marlik cups, but simply fastened on in a rather crude way with gold pins. However, the Mazan-deran cup has the same conspicuous base seen on the gazelle cup and on Marlik beakers. 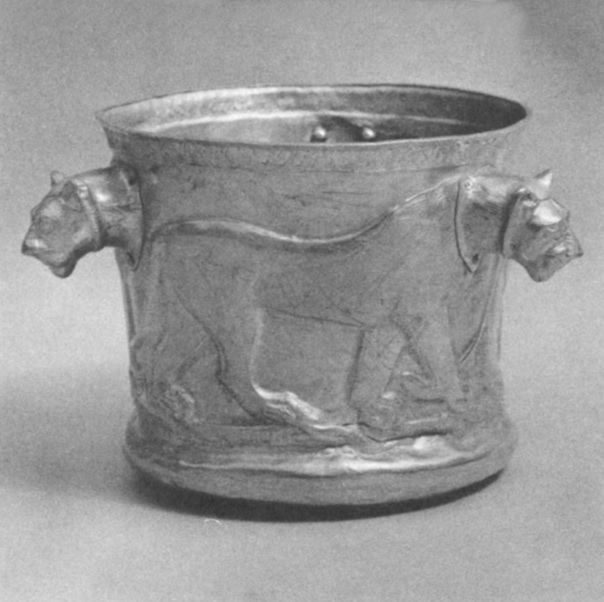 In all probability the lion cup was made about the same time as the Safid River pieces. Of approximately the same period, or slightly earlier, is a bronze vessel, now in the Louvre, that was discovered many years agor_ at Susa in Elam, hundreds of miles to the south of Gilan and Mazanderan. Decorated with two rows of animals with projecting heads, couchant bulls above and standing horses below, it again has the protruding base. This cup has been dated to the period of Untash-gal, who reigned in Elam from ap-proximately I234 to I227 B.C. 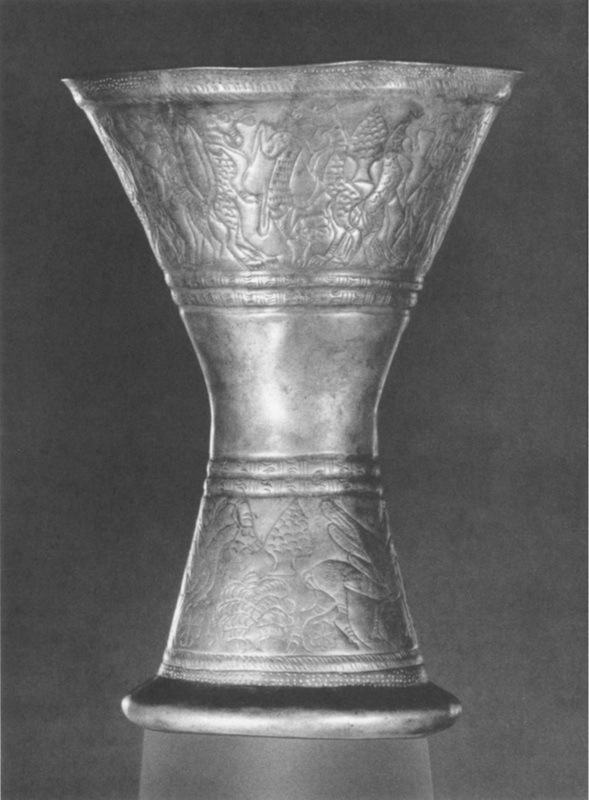 In Luristan, far to the southwest of Gilan, bronze vessels were made with the characteristic base (Figure 6). The fashion of the projecting heads, how-ever, seems not to have been popular there. But the tradition of encircling a vessel with animals whose heads project goes back much earlier than the period of the pieces so fari discussed. It is to be seen in Mesopotamia, rather than in Iran, as early as the third mil-lennium. The idea apparently developed from metal wall decorations of the fourth millen-nium, such as those at the Temple of Im-dugud at al-‘Ubaid. The treatment on vessels first appears in bowls of carved stone, exam-ples of which are in this Museum. No such bowls of metal of this early date, if any were made, have survived. In Elam, early in the second millennium, bowls with projecting heads were made of bitumen. Numerous examples were found at Susa. Some of their heads have inlaid eyes, and it is not impossible that the bowls were once covered with foil, even though none of them now shows any trace of such a treatment. These bitumen bowls do not have the pro-truding bases seen in the later metal cups; they do have, however, a slight swelling to form a foot. 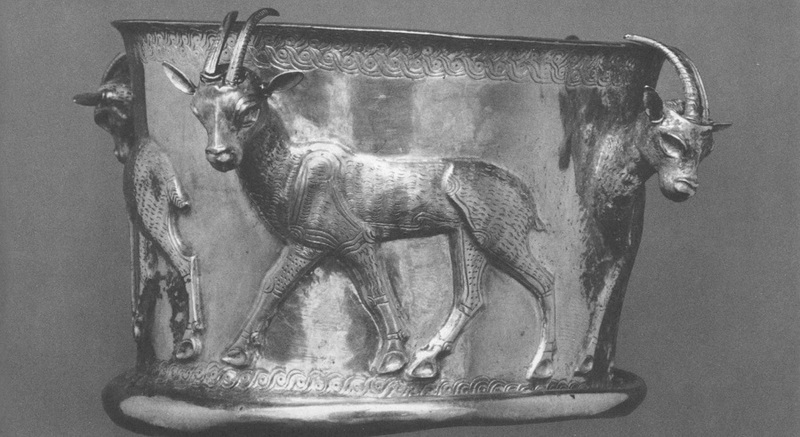 In its full-round heads, then, the gazelle cup has links with a past that was not exclusively Iranian. In its base, on the other hand, it incor-porates a fashion that was purely of Iran and, in light of the known examples, especially popular in the north. The fashion could have started in the south, judging from the Susa animal cup, but the basis for this hypothesis remains disturbingly small. The superiority of the workmanship in the gazelle cup raises the question of whether it was made locally in Gilan or imported, possibly from Elam. Although the question cannot be answered definitely, it is more likely that the cup was made in the north, because of its close links with the Marlik pieces, even though they are not so fine. Accordingly, one has to recognize that among the people of the Marlik culture there were metalworkers of greater skill than has heretofore been realized. Whereas the gazelle cup and one or two objects from Marlik raise such questions, other gold and silver pieces from the Safid River region can with sureness be considered local products. 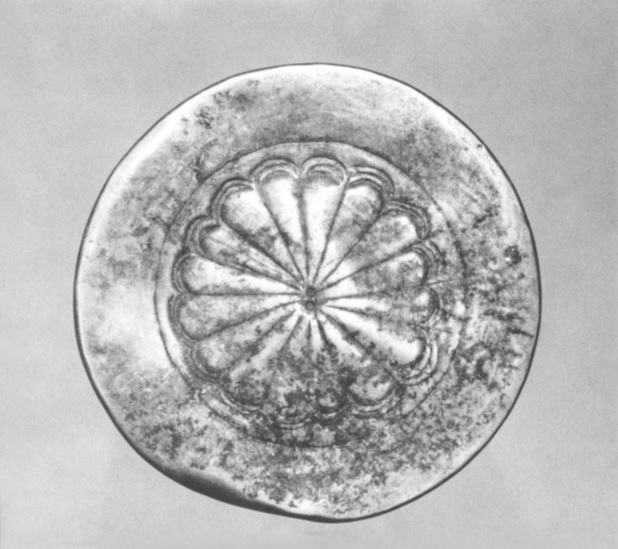 An example is a gold cup (Figure 7) that corresponds very closely to a silver cup found by Negahban at Marlik. Both are deco-rated with stags represented in profile, chased and in very low relief. With their extremely long legs and small heads, the animals seem to step along with almost fairy grace. 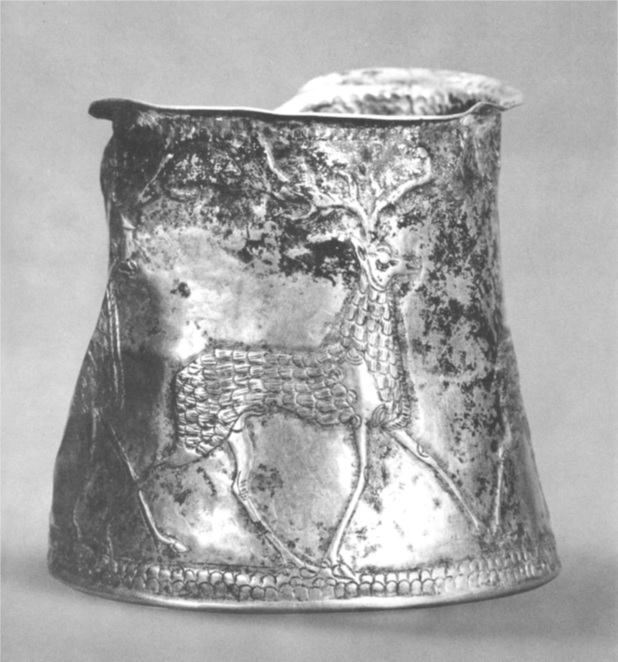 Although the drawing on the Marlik cup is considerably cruder, its stags are like those on the one illustrated in that their horns are displayed on either side of the profiled heads. This con-vention was not always followed at Marlik. The two cups are further alike in lacking an “inflated” base and in having, instead of guil-loche bands, double rows of small connected semicircles, perhaps here signifying mountains in accordance with an ancient Near Eastern convention. The base of the illustrated exam-ple is decorated with a sixteen-petaled rosette within a circle (Figure 8). In appearance these two cups are obviously unlike the gazelle cup and others related to it. Furthermore, the stag cups have no relation-ship to any known works of art from the south. 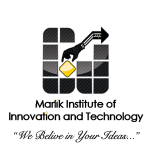 The indication, therefore, is that there was more than one school of design in the Marlik area. This would seem more likely than the supposition that the Marlik vessels should simply be divided into two groups, one local, the other imported. 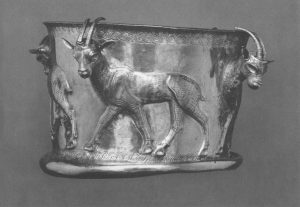 One of the Marlik schools-that of the stag cups-used a style that would appear to have been indige-nous to the people occupying the area; the other, of which the gazelle cup is perhaps the most refined example, incorporated traditions of both Mesopotamia and other parts of Iran. Gold, in the Safid River region, was used not only for vessels but for the adornment of objects. 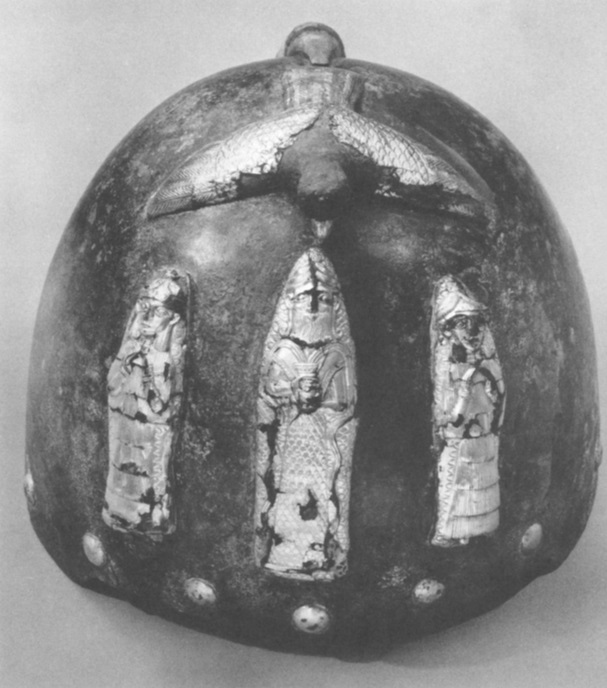 Such a use occurs in a bronze helmet with decorations of a religious nature (Figure 9). No surviving Elamite or Assyrian monu-ment shows a helmet of precisely this shape or with this decoration. Obviously it was worn by a person of high rank -one thinks of the warrior-kings whose graves Negahban found. Despite its gleaming decorations the helmet was intended for practical use, since it is strongly made. It is more or less hemispher-ical, with the front edge cut away a little where the brows would be, and pointed down somewhat at the nose. The bottom edge of the back is missing, and of the twelve ornamental studs that once were spaced all around the helmet only nine remain. On the back there is a tapering metal tube for the insertion of a feather or a horsehair plume. 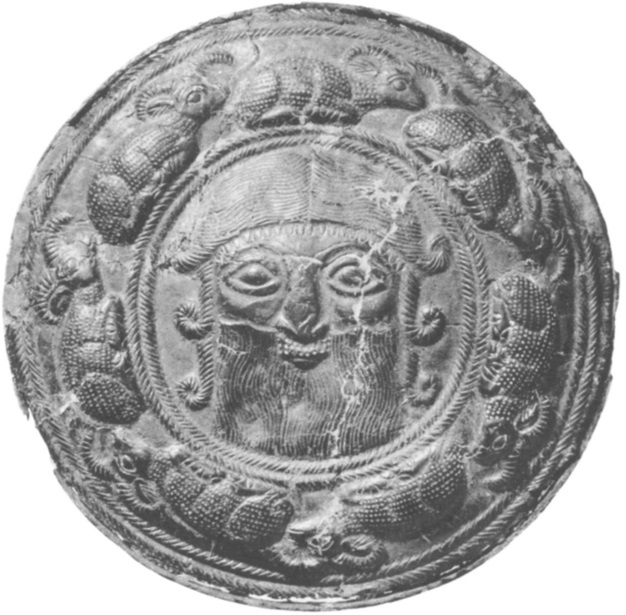 Assyrian helmets that were round rather than pointed usually had ear flaps; there are no signs of such flaps on this helmet. Although the overall shape is unlike any shown in Elamite carvings, there is perhaps a point of resemblance in an Assyr-ian relief in the British Museum that depicts an Elamite being hurled from his chariot. His hemispherical helmet or hat is shown falling. Another Elamite, transfixed by an arrow and assisted by an Elamite archer, wears a similar helmet with a long feather hanging down at the back. It does not emerge from a tube; instead it is attached to the interior of the helmet. Is it possible that the headgear on this relief of late date – 653 B.C. – is a survival of a tradition exemplified in the Museum’s helmet? The principal ornament of the helmet con-sists of three divine figures. The central one is a bearded god holding a vase from which streams of living water issue -a Sumerian con-ception originally, but one that spread and dominated Mesopotamian thinking for a long time. Fish are often portrayed in such streams. They are absent here, but the impression of a fish is conveyed by the scalelike pattern that covers the god’s skirt and the background. This god of the waters is flanked by female Io8 divinities whose hands are raised to the level of their chests. Their flounced dresses, typical of Mesopotamia in the third and second mil-lenniums, also appear in Elamite representa-tions of female divinities. The figures’ horns, one of the attributes of a divinity, are covered with a ropelike pattern. The god’s horns are surmounted by a star, those of his companions by rosettes. Crowning the helmet is a bird with outstretched wings, looking as if it were about to swoop down. The effect is appro-priate whether the bird represents the divinity of the skies above, completes the power ex-pressed by the figures below, or symbolizes the bird of prey of the battlefield, waiting for the victims of the warrior who wore the helmet. The physical composition of the figures and the technique of fastening them in place were established by Murray Pease, the Museum’s late conservator. It was possible to deter-mine, through the gaps in the foil covering, that the figures have cores of bitumen. X-ray photographs show that the cores, as well as the tube on the back, were fastened to suit-ably shaped bronze plates. These, in turn, were fastened to the helmet with pins. In addition, the bird’s projecting head was mod-eled on a metal armature. The unaided eye would judge that the figures and studs were covered by a skin of gold only. Instead, the covering is in two layers, one of silver covered by one of gold. 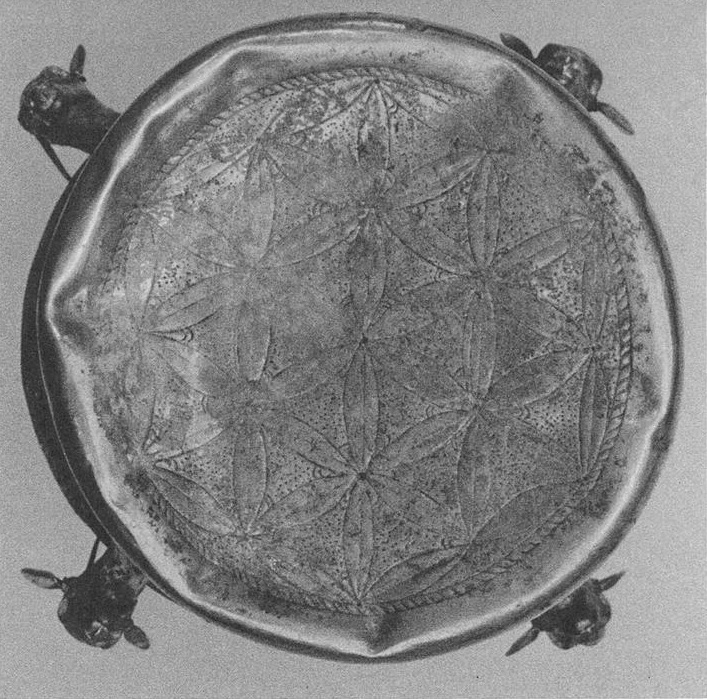 This distinctive technique of gold foil over silver over bitumen is seen in another object from the Safid River region, a roundel (Figure 10) provided with four metal loops on the back so that it could be used, perhaps, to link leather or fabric bands. The animals that encircle the central rosette appear to be mou-flon. Like those of the stags on the cups dis-cussed earlier, their horns are placed symmet-rically on either side of their profiled heads. The outer edge of the ornament is decorated with little semicircles, a favorite motif of Mar-lik culture metalwork. The same animals, treated in the same style, appear on another Safid River bitumen roun-del (Figure 11). This object, which has lost most of its silver and gold covering, has a particularly interesting center decoration: a head with an extremely broad face, short nose, small mouth, low forehead, heavy-lidded eyes, and short beard. Although it in no way resem-bles the heads of any of the pottery figures or the small solid bronzes that were found at Marlik, it does resemble, in the details men-tioned, the head of the god on the helmet. Its gently waving hair, parted in the middle, ends in three large ropelike curls on either side of the face. A feature that has apparently not been seen elsewhere is the line of inverted triangles just below the hair; what this repre-sents is not known. The mustache, contrary to Mesopotamian fashion, is treated as a series of dots. The beard, which begins high on the cheeks, seems to be cut short by the double ropelike border circling the head. It is tempting to think that this is a repre-sentation of a man of the Marlik culture – one, indeed, who might have worn the helmet. Un-fortunately, there is every reason to think that this was no ordinary mortal. The peculiar side curls indicate as much, for they are of a defi-nite iconographical type, the distinguishing mark of a figure who often appears in Su-merian scenes. In many of these he has been identified by some as the legendary Gilgamesh, in others as an unspecified hero. Whoever he may be, he is often portrayed in company with such gods as Ea, the god of water and of wisdom (the Sumerian equivalent of the god on the helmet). He is also shown as a super-human fisherman, a carrier of the water of life, a wrestler with bulls or lions, or a lone walker between palm trees (which occurs on a seal of the Middle Assyrian period-about 1350-900 B.C.). In regard to dating the roun-del it is perhaps significant that the fashion changed in the late Assyrian empire, and the simple curls were supplemented with luxu-rious tresses, as exemplified in a relief from the palace of Sargon II (72I-705 B.C. ), now in the Louvre. In this the figure grasps with one arm a diminutive lion. Showing similar tresses, a carving of the time of Sennacherib (704-681 B.C.) is in the British Museum. The group of objects considered here, in addition to showing that the craftsmen of the Marlik culture varied greatly in competence as they worked in their different styles, makes it clear that many of the mythological, icon-ographical, and artistic conceptions of the Sumerians were transmitted to their neigh-bors and successors. And in accordance with the whole history of art in Iran-a country whose inhabitants have undergone many ra-cial changes and admixtures – these objects also demonstrate that whatsoever in art is accepted from the outside world is changed in the land of its adoption.